Head Start is an early childhood development program with services to meet your child’s individual needs. From disability services to family literacy, Hinds County Project Head Start provides quality services for low-income families in Hinds County. Head Start and Early Head Start are federally-funded programs that can help to build a foundation for your children’s future success. 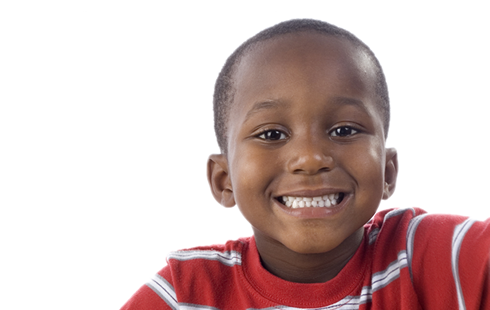 Head Start offers educational services for children three to five years of age. It is designed to encourage the healthy development of young children through its wide range of services at 16 Centers throughout Hinds County Mississippi. Learn more by visiting Our Programs page. Early Head Start provides quality care to infants and toddlers six weeks to three years old. This comprehensive child care service focuses on children of individuals from low-income families. The program also provides educational services and resources to pregnant teens and young expectant mothers at four centers across Hinds County Mississippi. Learn more by visiting Our Programs page. Children who are three years old on or before September 1st and who are from families with low income, according to the Poverty Guidelines published by the federal government, are eligible for Head Start and Early Head Start services. Children from families receiving public assistance TANF or Supplemental Security Income (SSI) are eligible for Head Start and Early Head Start services regardless of income. IS MY CHILD ELIGIBLE IF HE/SHE HAS A DISABILITY? Priority is given to children with disabilities who have been diagnosed with an Individualized Education Plan (IEP) or an Individual Family Service Plan (IFSP). Head Start is committed to ensuring that children, ages 0-5, with disabilities are afforded the same opportunities for inclusive classroom settings as other students throughout the state. For more information on our services, please contact 601-923-3940. I AM PREGNANT. CAN I APPLY FOR MY CHILD NOW? Early Head Start serves expectant mothers through home visits and socialization activities. The children of the parents served in this program are given priority for available spots in the Early Head Start program. DO I QUALIFY FOR HEAD START? Head Start is a comprehensive preschool program for income qualifying families and children with disabilities. Child must be 3 or 4 years old by September 1st. Family’s income must fall within the federal poverty guidelines. Children with a diagnosed disability. We ask that you bring any records that you have relating to that disability (e.g., IEP or IFSP). Children & families in high risk circumstances such as homelessness. Children with disabilities are given priority for Head Start enrollment. The information you provide is voluntary and any information you provide will be kept confidential. 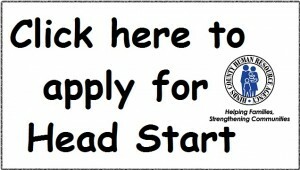 If you think that you qualify for Head Start, please contact our office at 601.923.3940 or the Head Start site of your choice to complete an application. *All applicants are required to go to one of the sites so that a Head Start staff member can meet with you and go over your application. The family service staff at the center reviews all of the paperwork, including your income and residency. If any paperwork is missing, the staff will contact you. Completed applications are submitted for a final review and sent to the Hinds County Human Resource Agency Central Office (HCHRA) for processing. After processing your child’s application, his/her name goes on the waiting list if no space is available at the center. When the center has an opening, the center will contact you by phone to enroll your child in our program. You have three days after notification to enroll your child. If you do not enroll your child within the three days, your child’s name will go back onto the waiting list. ARE THERE ANY OPENINGS RIGHT NOW? Please contact your local center for more information. Openings are filled on a periodic basis using criteria that have been approved by our Board, Policy Council and the United States Congress. Slots are not filled based on a first-come, first-served basis. While we cannot guarantee anyone a slot, we do our best to get all children into a slot as soon as possible. If the center is full, we encourage you to submit an application in order to be placed on the waiting list. Slots become available throughout Hinds County on a daily basis, and we try to get children assigned as vacancies occur. Each center is required to maintain a waiting list. If you are willing to transport your child to another center, we can assist you by transferring your application to a center with a shorter waiting list in another part of the county. WHAT IF MY FAMILY INCOME IS GREATER THAN THE INCOME GUIDELINES? Your application will still be processed; however, families with income higher than the federal poverty guidelines will be placed on a waiting list and will only be considered for enrollment if we do not have any income-eligible children to fill the open slots. We are allowed to enroll up to at 10% of families above the income guidelines. Priority is giving to families with income at or below the federal poverty guidelines.